Paradise is such a broad term. It can be found almost anywhere. It might be a cocktail at sunset, ice cream on a hot day or even a quiet park in the heart of a bustling city. It’s all relative. When I think of a beach side paradise, I see white sand, crystal clear water and a coconut tree covered island. 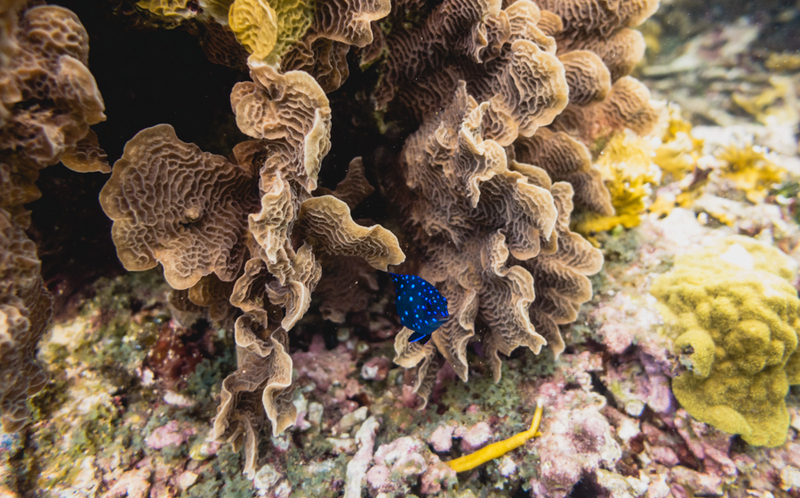 And, that is exactly what we found when we dropped the anchor in San Blas. 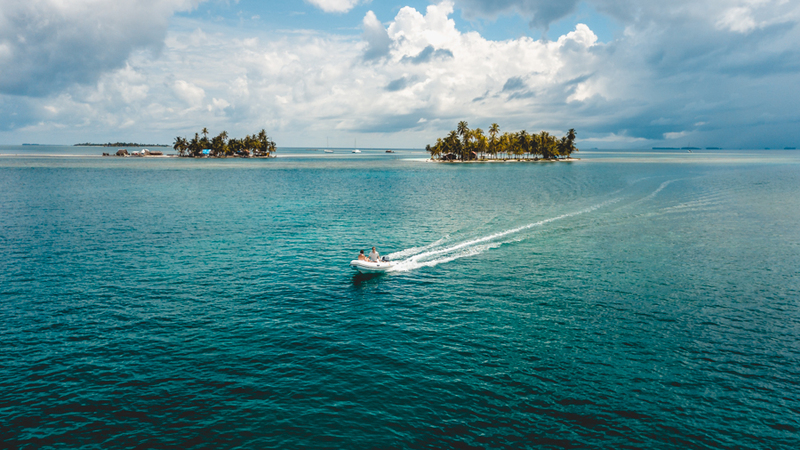 This Panamanian archipelago is a sailors bliss. Spectacular place isn’t it! 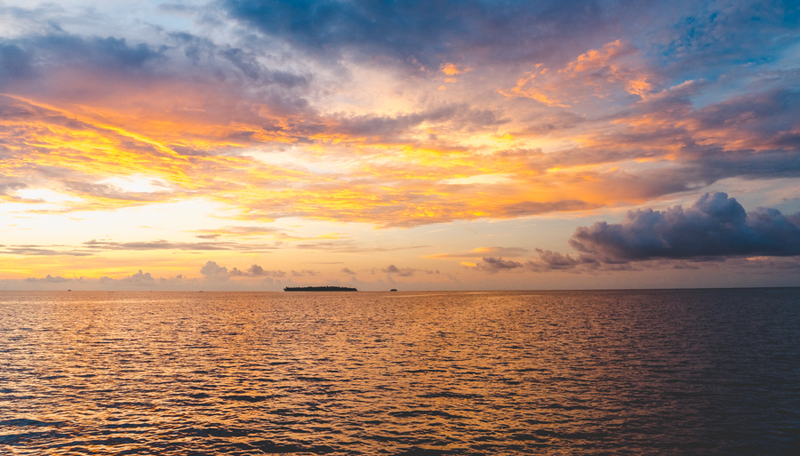 When I was editing this video I kept thinking to myself “Now that’s the cruising life I signed up for!” Sunsets, Snorkeling, Swimsuits and Sailing…LIFE IS GOOD! The water is crystal clear from above but it isn’t Bahamas clear once you’re in. It’s still fantastic, I just don’t want to set your expectations too high. 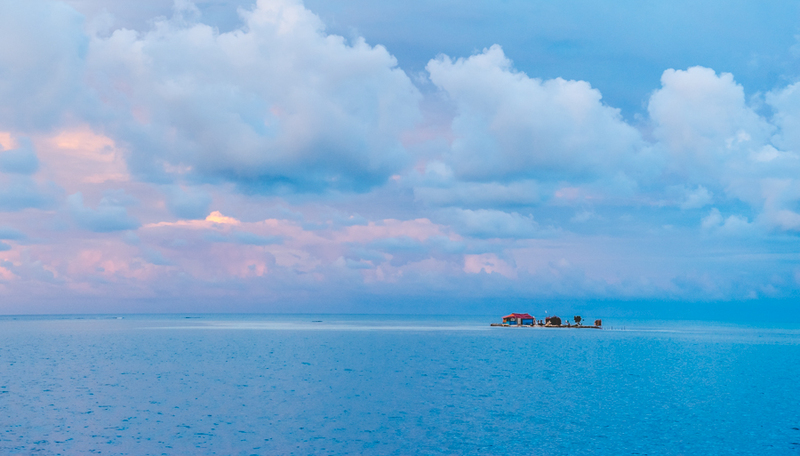 We’ve read the Guna Yala people don’t allow SCUBA diving. So, we stuck to snorkeling. 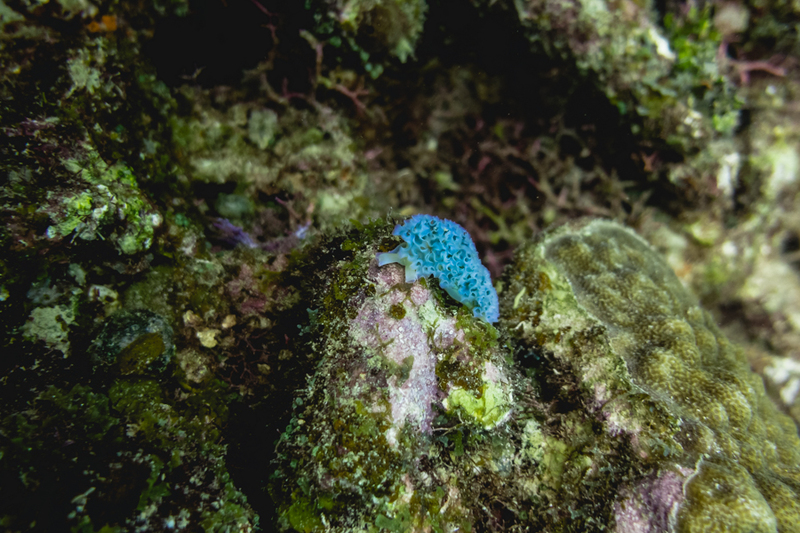 Which is no biggie because most of the reefs are shallow enough to free-dive. The underwater life wasn’t as spectacular as I’d read online. We snorkeled 5 different spots within 10 miles of our anchorage. 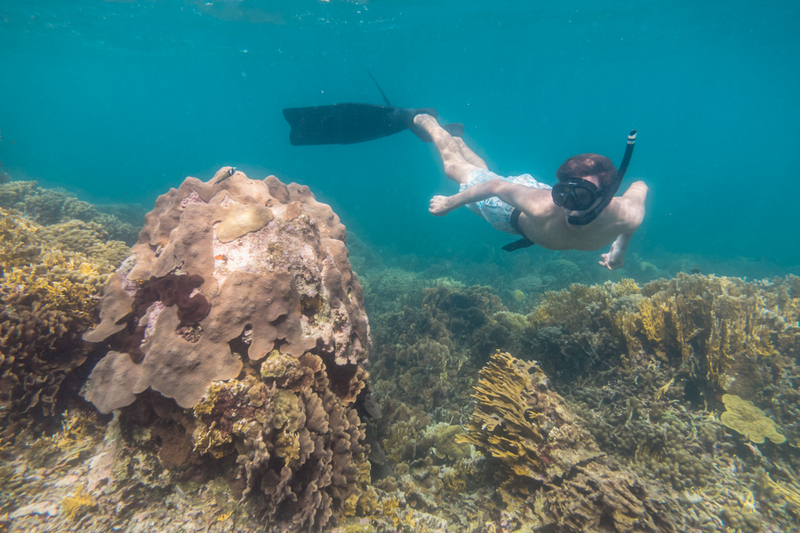 Some of the coral was healthy while other large chunks were dying. We didn’t see any large schools of fish and only spotted a handful of lobsters (most were tiny little guys). I’ve no business speculating why. But, considering how far this archipelago is from the mainland, I expected it to be exploding with vibrant sea life. 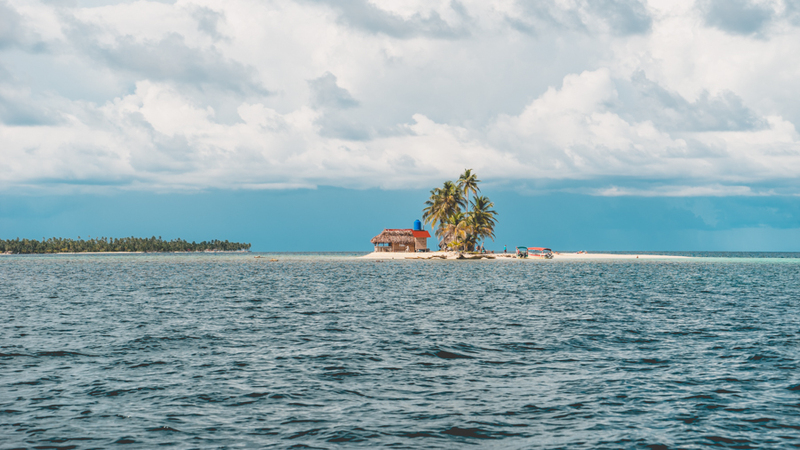 Seriously, this might be our favorite part of the San Blas islands. These veggie guys come twice per week. They even take requests! You need some milk, eggs or cheese? All you have to do is message them on WhatsApp (everybody in Panama has this app) and let them know. They’ll deliver it all, to your sugar scoops. What was even better, the prices were excellent! Veggie prices were on par with the grocery stores we visited in Portobelo. The Guna Yala people don’t allow visitors to spear or fish without a special permit. 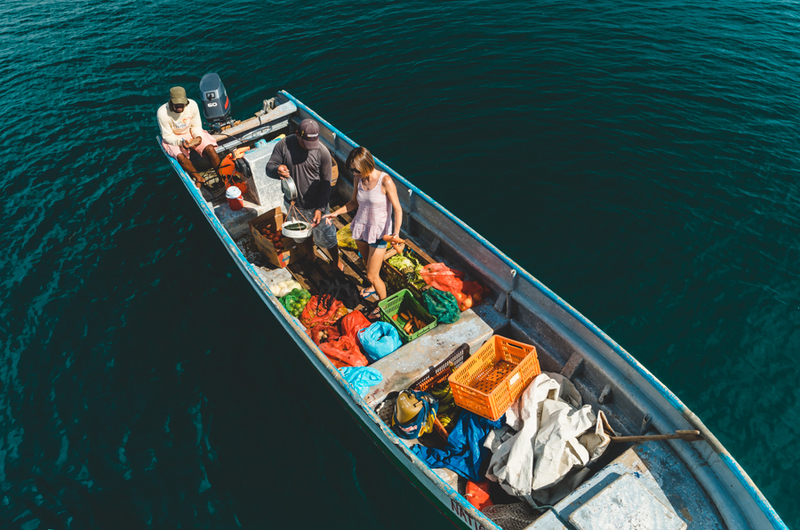 The best way to get fresh seafood is to buy it off one of the many locals peddling their catch du jour. We also had three women visit selling their molas. A mola is native artwork handmade from cloth and thread. It’s an artform that’s as old as the Guna’s themselves. We didn’t buy any since our space aboard Curiosity is sparse for souvenirs and art work. But, it was an experience to see them and speak with the artists that paddled up to our boat. The Guna prefer not to have their photographs taken. You’ll have to google mola if you want to see this intricate art. Why leave paradise after a week? Like I said in the video, it’s hard to leave after one short week. But as a full-time traveler, we’re on a mission to sail about the world. Our next goal is to transit the Panama Canal and we have a boatload of research and paperwork to fill out. Plus, if I am completely honest, creating and sharing our adventures is a full time job. We need access to internet which is often non-existent in the remote paradises of the world. That means we move on from some destinations sooner than we’d like. In the end we only touched the tip of the San Blas archipelago. 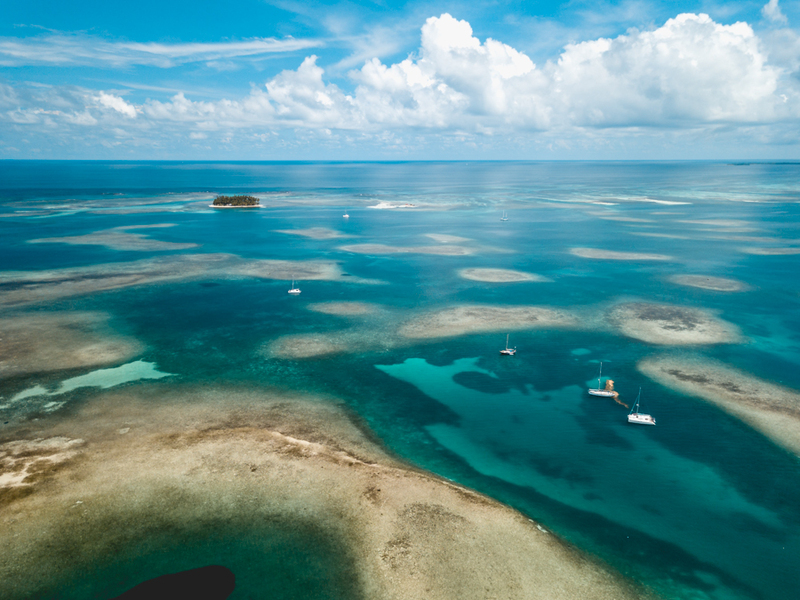 There are more than 365 islands and cays scattered over 100 square miles of ocean. My guess is we saw less than 30 and didn’t even get to set foot on one! Feels shameful. 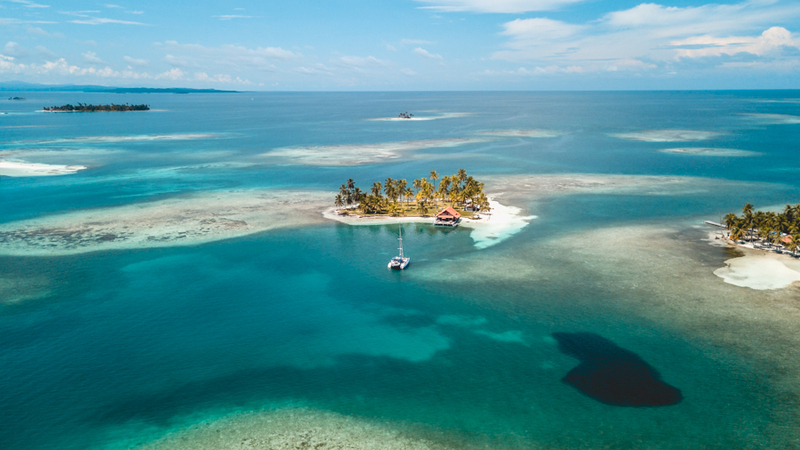 If you’re planning a visit the Caribbean side of Panama, I can without a doubt say: A week in the sailors bliss of San Blas is not enough, not even close. Thank you for tuning in! We’re able to share these adventures because of viewers like you. If you like what you see, check out our Say Thanks page to learn about different ways you can help keep the videos and posts flowing. You’ll notice most ways don’t cost you a penny but make a big difference to us…and for that, we thank you! Anchorage: Yansaladup. 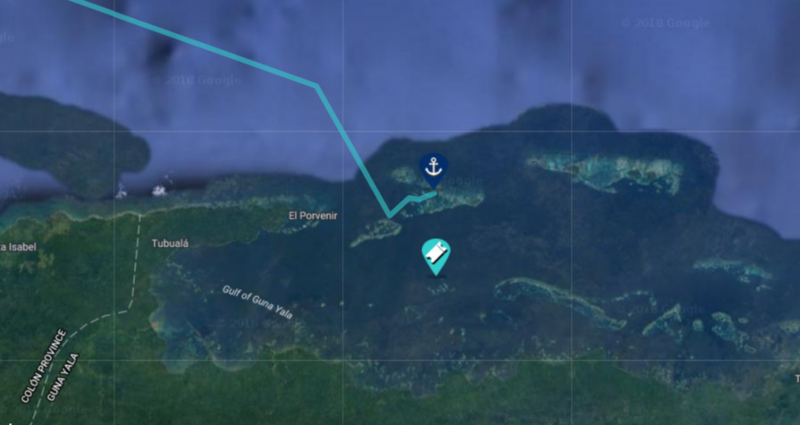 You can find it on Active Captain near the Lemon Cays and just east of Cayos Chichime. 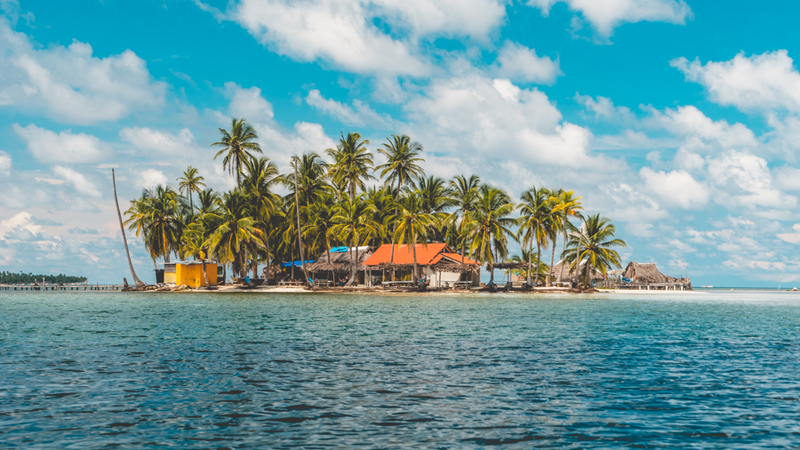 Cell & WiFi: Until recent years there was zero cell reception in San Blas. We found a 3g signal near Isla Porvenir while our anchorage (5+ miles away) had very intermittent reception. A Cell Booster is a must here if you want a chance at catching a few bars, but there’s no connection guarantees in paradise. Have been following your adventures since you started in rv & transitioned to a catamaran. Love following you, watching the videos and meeting your guest crew. Only one negative comment here. 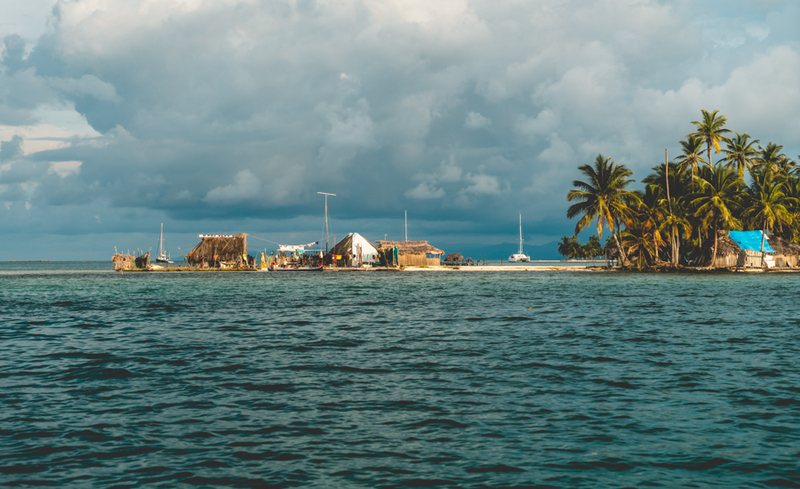 Having visited the San Blass Islands night merous times, having stepped onto their inhabited islands, meeting the “Cuna Indians” as they call themselves and learning from them about their colorful and rich life and their customs. You Missed The Greatest Opportunity For Interaction with them in their setting. The women are the rulers and oh so many fascinating tjings to learn about their lifestyle and yes they are happy to take pictures to show their lifestyle, familues and colorful villages on these islands. 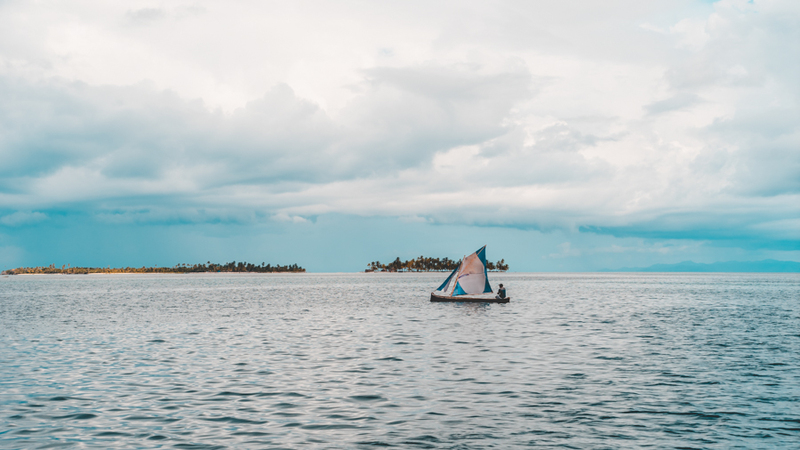 How sad that you took your dingy out to snorkel and were so close to immersing yourselves in their culture but even after a week, you never took the time to step foot on any of the San Blas Islands. It didn’t even pay for you to stop in their waters or even to mention San Blas at all. How very sad to have had no interaction on their islands, learned nothing about these awesome people or their lifestyle. You could have been snorkeling anywhere in the world. Thanks for following along. As for the disappointment and shame… Its fantastic you have had the opportunity to fall in love with their culture. We really enjoyed interacting with them and enjoyed our time in San Blas. To say we learned nothing about the people is a gross assumption. We had interaction with the locals and with the women. We chose to enjoy them in those moments. We choose not to run for a camera and simply enjoy the moment. Sure, we would have loved to stick around for a month and hang out with them. But the truth is we cant see, experience and do everything, everywhere. We have been diving into the different cultures and people of Panama since we arrived. We’ve had so many incredible experiences and shared many of them. But sometimes we have a boat load of work, projects and research to do. 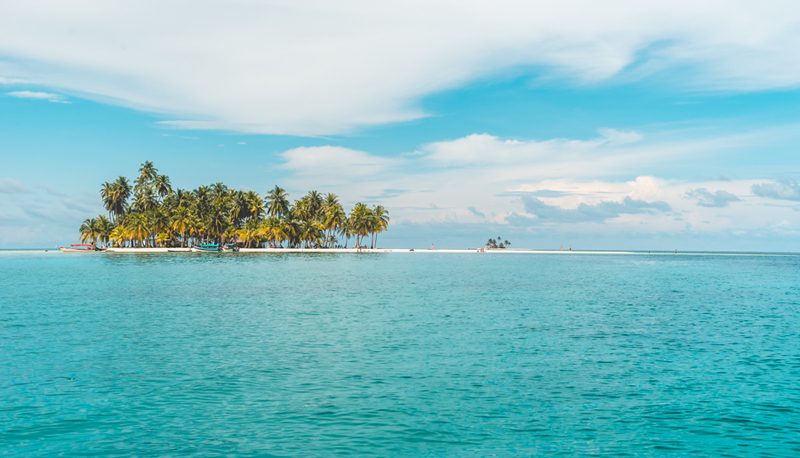 Our time in San Blas was a much needed decompression. We honestly weren’t in the mind set to be a tribal documentary crew. Just because we didn’t create, show or experience it the way you think we should, doesn’t make it a pointless experience. Certainly not one worth shaming. Love to watch every week, have been watching since you bought the Breeze MH a few years ago. We are full timers in our RV and enjoying our stile but really enjoy your way of life. How long can you stay under water without air tanks? It looks exciting. Keep up the good work. From the Raisin Capital of the world FRESNO COUNTY. LOVE YOU GUYS???⛵️⛵️⛵️????????? Look’s like your living the life I’d like to live , oh well maybe someday I’ll get back on the water . when do you plan on going through the canal ? FYI, https://www.gonewiththewynns.com/sailors-bliss-san-blas defaults to showing page 3 of comments (with 35 comments right now), but the links to comment pages 1 and 2 generate 404s. Working on it now – thanks! I ENJOY YOUR PHOTOS AND HISTORY OF THOSE YOU MEET AND PLACES YOU’VE BEEN. THANK YOU FOR SHARING. BE SAFE. We just love watching you guys’ adventure!!! 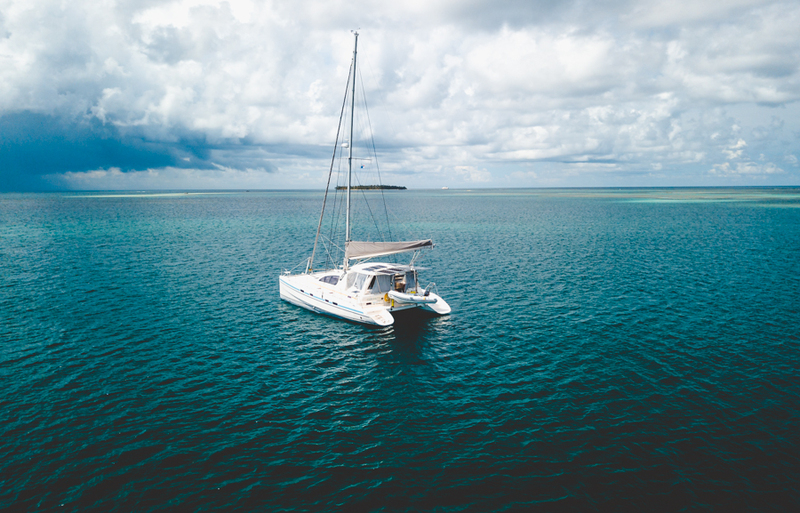 You are absolutely adorable, adventurous and so wonderfully wise, too, with some of the realities of sailing into these places that are not as well-known or visited as others. And love the shark – wonder if the sailors are feeding it so that it got used to that? (Rather like feeding the gators where we live). Thanks for sharing all – it’s glorious!!!! Hey guys. By now you’ve transited the canal (yea!) and will have another chapter of the adventure to share. Before you leave for the open sea… how are you set on coffee? I’d like to send you some beans. Would that be ok? If so, where can I send them and when should they arrive by. Private email if that’s easier/better for you. Thank you so much for taking me along on your adventures. It is so cool. I saw you first on House Hunters and then I ended up somehow seeing your Motor Home adventures and now this sailing. I will find a way to give back. Thank you for letting me understand how with your comments. Question – I an sure I am not the only one to ask., how are you protecting yourself from the sun? You both look great and yet the sun will really take a toll on you as you age. So again what are you doing? Hey Guys. Curiosity is looking great. Curious about this video. Did you guys use a color correction at the beginning of the video. It has a different feel that your previous ones. Take care and be safe!! Just wondering if you could post where you got your sarong (is that what it’s called?) from the beginning of the video. Based on how much my girlfriend liked it, it could be her next birthday present. Love your videos! I got hooked on the Wynns when you guys were still in the RV and even though I don’t have any desire to sail, I LOVE watching you guys do it. You make it look easy, though I’m sure it’s a ton of work. Nikki, if you ever get the chance to do a post about how you “provision” your wardrobe for sailing around the world, I’d love to know more. You always look great and seem to have a great variety of clothing, but I know space is tight on board. How do you make good choices? (How often) Do you shop for new stuff? Hi guys, I’ve been a big fan since the RV days and just wanted to say Thank you for all you do in sharing your life. Let me know if your ever near San Diego, although the coldest it gets is around 57 with the wind chill ? we have our own year round paradise. Take care and again Thanks. That is a great place. Thank you for the tip. I hope to make it there next when I am jones’n for a cool vacation spot to go. Nikki, I’d like to know how many somersaults you can turn before coming up or getting dizzy. Beautiful water again! Wish I was there!! It is great to watch what you two are doing. Thank you, be safe. Wow! What a cool looking place!! Ohhhh man…-10 blizzard. Ohhhh man. Great video! I kind of feel bad for your crew who already left since they missed San Blas. Anxious to see y’all in Ecuador. Pete, we looked up Cobia and it looks different than our shark friend. If you find an online photo that more resembles our shark friend please send it our way. The new Mavic Air or the Mavic Pro are both solid places to start. If there’s one thing you’ll want for wildcamping it’s a drone. Great views this week end. I am looking at 8 in of white stuff on the ground and 5 degrees of cold weather here in Michigan. got a condo in dania fl waiting for me. see you next week end. Again, wonderful video. Just got done binge watching your RVing blog/vlog for the second time. I noticed you have some Curiosity “swag” now. Jason’s ball cap and the tote bag that you put your vegies in. You ever think about having a little shop to sell your Curiosity brand? I’d buy it for sure. My best to you all. Be safe. Hello Nikki,& Jason, really enjoy the videos. I am rv traveler but have two small kids so traveling by water could be challenging. I love updates you give. Love your travels. We’re following distantly in your footsteps, as we’re headed to Canada and Alaska in our Sprinter 4WD RV in about a month, starting from CA. I’ve been watching your videos religiously since then, and am contemplating a shift 4-5 years to the sailing journey. Be safe. You guys look really happy now. What a paradise. thank you. Absolutely stunning pictures! You are once again forcing me to change my background screen to another one of your beautiful sunsets. I have been eagerly anticipating your trip through the canal. My grandfather moved to Gamboa Panama in the 1920s and my dad grew up there. I, embarrassingly, have never been there. So I’ve been waiting for you all to take me through the canal! I just found you all one month ago but I came at just the right time for me. Thank you for living your life the way you do! This place looks like paradise! I enjoy all your video’s and look forward to your trip thru the canal. I can’t believe you didn’t buy a mola! Even just one. Such a rich history. The women depend on this for their livelihood. Excellent for pillows. So enjoy the videos- makes me want to go explore other parts of the world! Safe travels to both of you! Love you two, fair winds and following seas. Hi! I subscribed to in Feb. last year, but I have been following you before you got Curiosity and I think you are an amazing couple. Your adventures are fun to watch, and they are informative and well written. I love your videos, and also the music you play in the background. I look forward to seeing next video, you awesome!!!! Ron. The weekly video really enjoy it. Thank you for sharing. Another wonderful video; very grateful for viewing it and thanks a million for sharing it. I found the last few minutes mesmerizing as you guys were setting the sails, etc, the boat leaping forward. Merci beaucoup ! You don’t have to post the rest of my comments (of course); you don’t even have to answer if you don’t have the time or the inclination… I’m just curious: how do you make a living? I really appreciate the fact that there is no adds, publicity, marketing etc. in your videos but understand the need to put food on the table and repair the boat… Have a wonderful day! Hello Yvan! Happy to answer your questions. 😉 We have a make money and travel section here: https://www.gonewiththewynns.com/make-money-travel We talk about how we make money and share the full scoop on how it has happened over the years. We also share how others make it happen too. Love your videos, wish I was as tech savvy as to, to create our video of living the dream. Oh Good Lord! If someone wrote your life into a screenplay, people would say, “Nah, it’s not believable! No one could live in such beauty every single day!” Yet you two have found the way. I am so happy for both of you!